The Spanish omelette is the best thing you can do with potatoes, onions, eggs and olive oil. 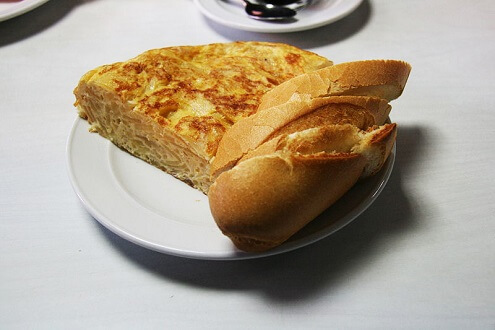 A well-made Spanish omelette (tortilla) is so satisfying!. It is one of the top 10 dishes to taste in Spain. It has nothing to do with Mexican corn tortillas. If it has a relative, it would be the Italian frittata.